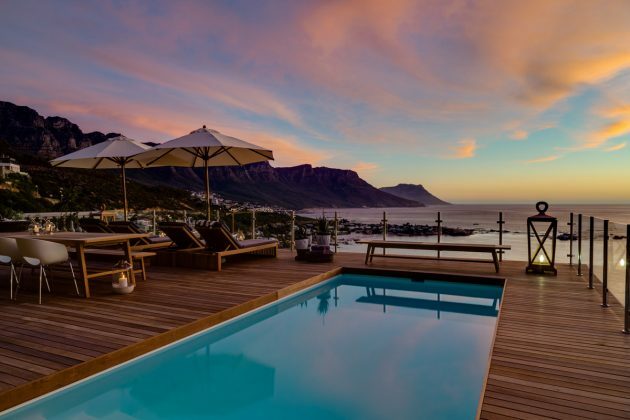 We are very pleased to list Cape View Clifton – the luxury boutique hideaway in Cape Town as one of The Luxe Diary accolade hotels. 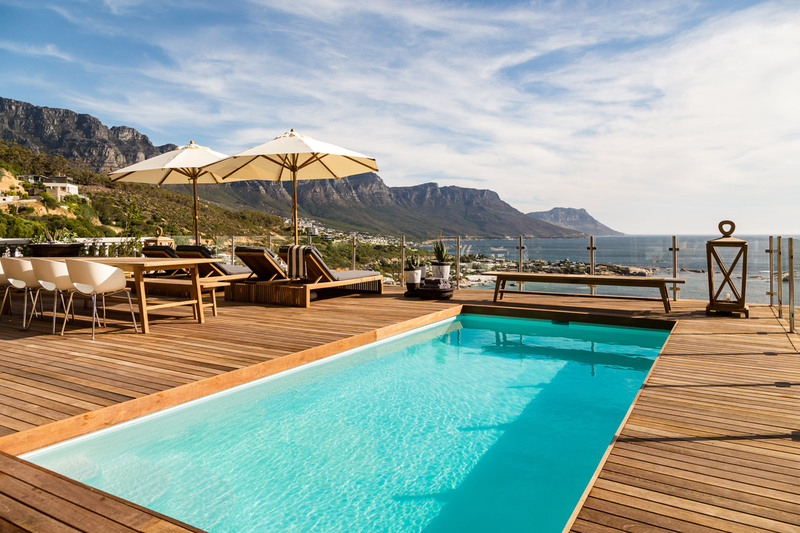 When it comes to high-luxury hotel experiences, Cape View Clifton in Cape Town is the epitome of luxurious wanderlust. 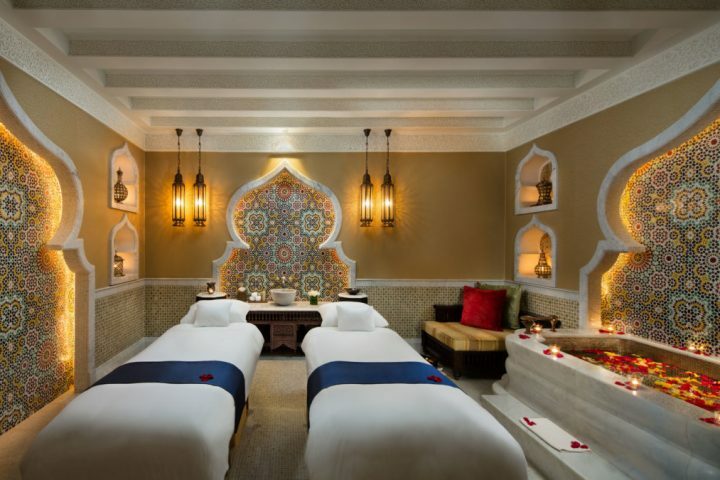 Sumptuous, supremely elegant yet exuding a deliciously down to earth homely vibe, this boutique hotel is impressive. 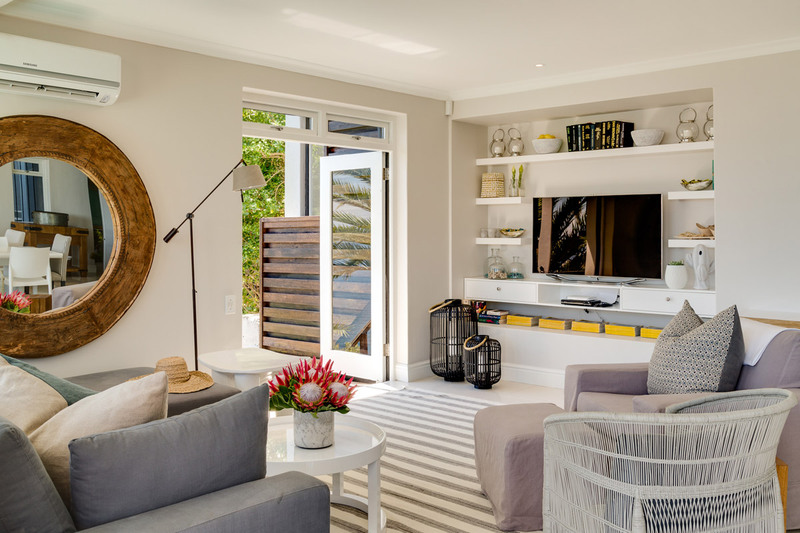 Family owned since 2009, Cape View Clifton is a charming and stylish townhouse overlooked by the Twelve Apostles, divinely nestled into the cliffside above Cape Town’s most exclusive coastal areas. 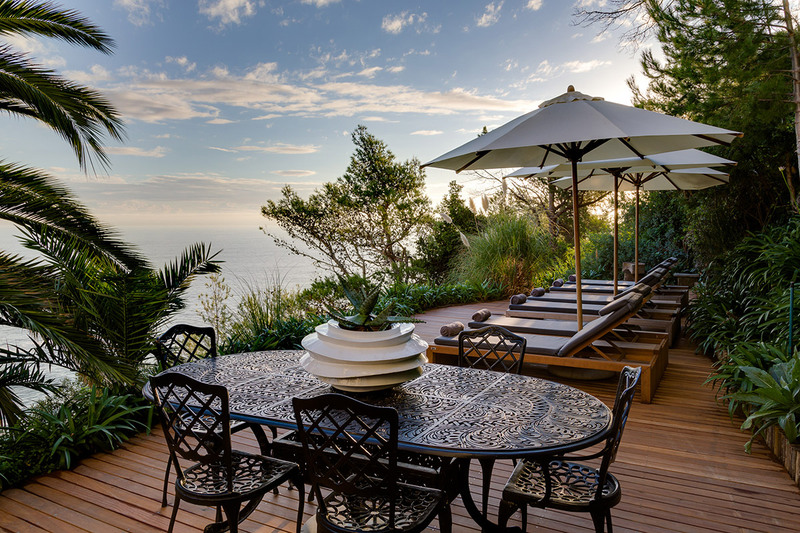 At the base of Lion’s Head, Cape View boasts stunning views over Camps Bay and the Atlantic Ocean. Jessica Latimer, founder and design mind behind Cape View’s classical and colonial decor, explains that Cape View was converted from run-down, dilapidated self-catering apartments to its understated luxury state and the results are truly pleasing. We note the Art Deco architectural features as well, a cross between Malibu, the Hamptons and chic French styles. 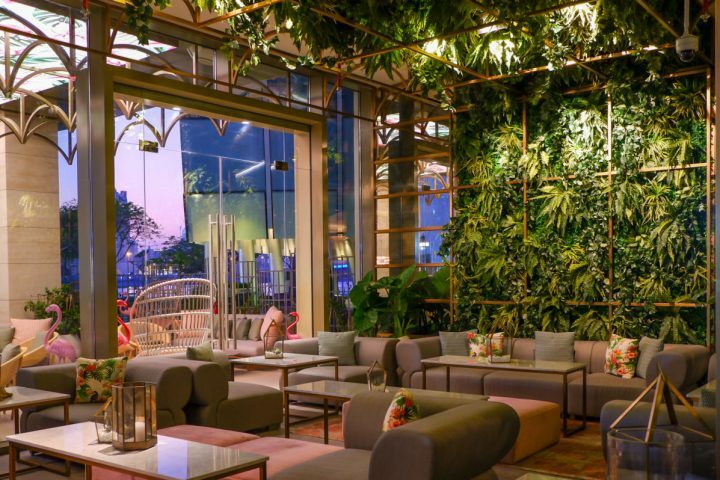 From the art work to the furniture, from the selection of books in the lounge library to the choice of soft and appropriate lounge music playing to suit the time and mood of day, everything is designed to make Cape View guests feel at home in a comfortably un-intimidating luxurious way. The hotel is terraced over 5 levels, typical of Clifton architecture and the views from each of the floors are breathtaking, unforgettable, clear and open across the ocean and the beaches. At different levels of the hotel, you will find wooden ‘Deauville’-style decks beautifully poised out to the ocean with loungers, the most impressive being the pool deck at the breakfast and lounge room level. The rooms at Cape View Clifton are spacious, bright and all with sea views. 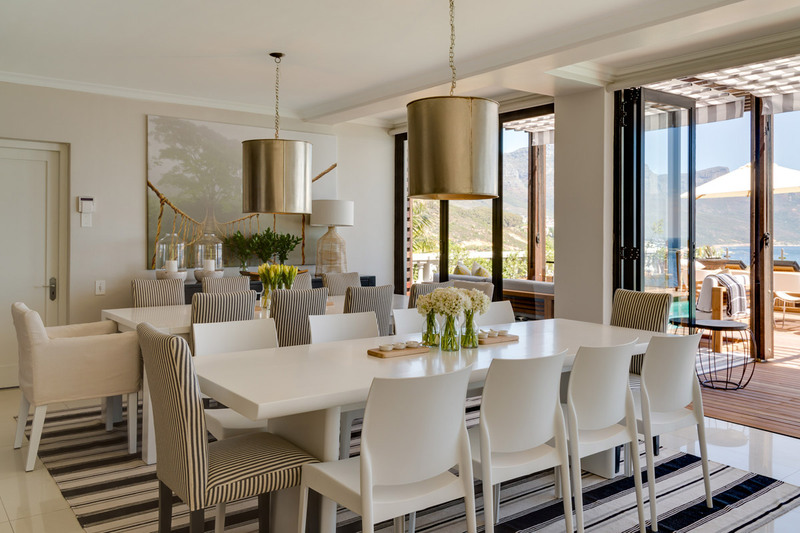 Jessica talks to us about finding inspiration in nature and the environment and emphasises to us how important it was to her during the design process that the interior complement and seamlessly echo the magnificent backdrop of the Cape coastline. As she puts it, her style emphasis is on calm, tactile and serene surroundings that complete, not compete with the incredible outside landscape ultimately inviting the view in. Jessica also tells us she played with texture and calming palettes to create a neutral ambience. Indeed, the soft furnishings throughout the house combine rich cottons, soft cashmere throws and deep comforting carpets while white washed panelling reflects the beach vibe. Jessica explains that the benchmark of her design interpretation is to give an element of surprise by making use of old vintage or antique pieces that are reworked to remain classic with a contemporary edge. Indeed, the furniture, art work and design pieces reflect this ethos. The rooms at Cape View have a modern sense of style that takes its cue from the well-chosen play on textures and colours. The bathrooms resonate ‘belle époque’ luxury with the white Parisian style metro tiles, double retro sinks and large showers. 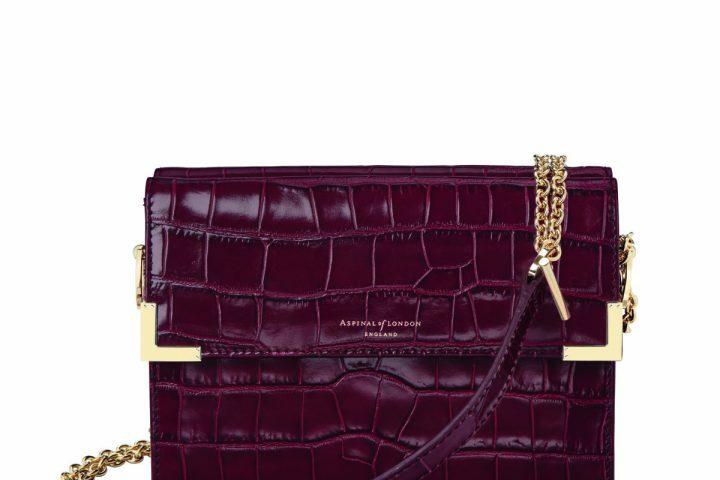 The design is complemented beautifully by the fine and fragrant Africology products on offer. Each room is discretely complete with full wifi access, high tech audio visual appliances, desk, air-conditioning, minibar, free bottled water and tea and coffee making facilities. Up to date fashion and design magazines are conveniently displayed for guests’ benefit. In the morning guests are invited to the stunning breakfast and lounge area at the pool deck level. Friendly and welcoming chefs Promise and Celeste cook the most beautiful breakfasts such as bacon stuffed French toast and salmon and spinach croissants. 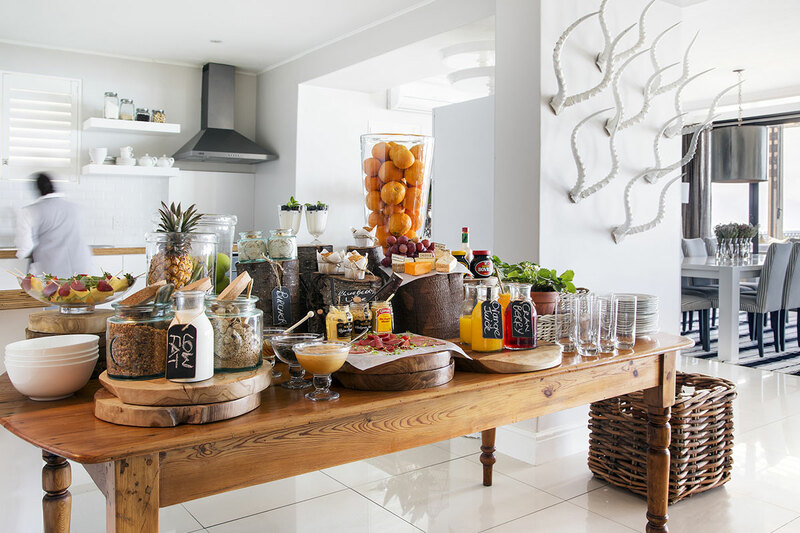 Guests have full access to an honesty bar stocked with a wide range of South African wines and other drinks and snacks available at any time. Lunches and dinner may be ordered by prior arrangement however, and with Cape Town being the gastronomic Michelin-standard playground it is, the recommendations made by Mandy, the hotel manager are all amazing. Cape View has been successfully designed to meet the needs of both Business travellers and holiday-makers. 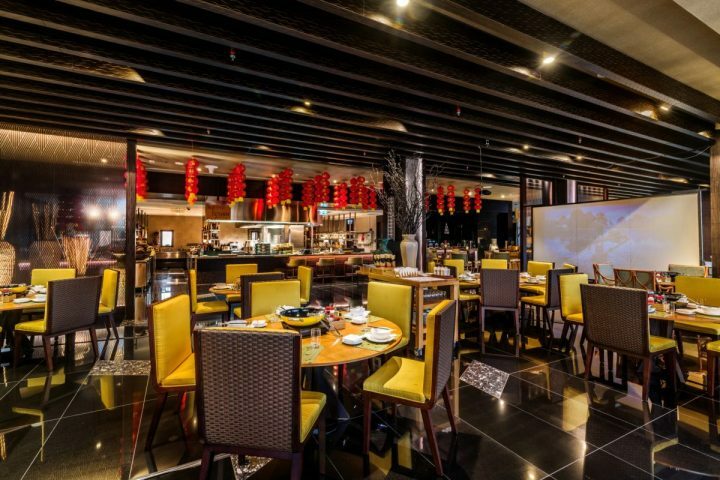 Functionality and amenities are camouflaged with great results by the design and layout. It is a perfect Business pied-à-terre without feeling like a Business focussed hotel. The hotel subtly caters for all manner of guests – an art in itself. 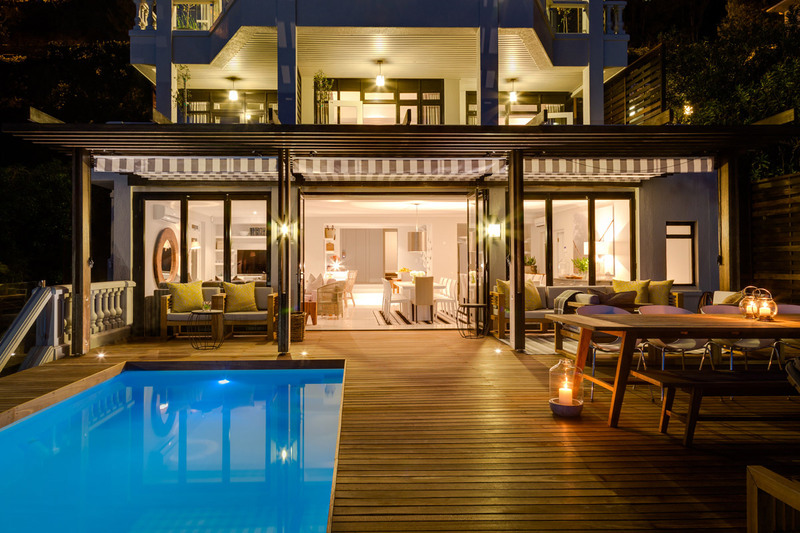 Cape View Clifton concept goes beyond a ‘home from home’ – it is the most tasteful, luxurious, comfortable boutique hotel where all the needs of their guests have been considered and catered to. The discretion, efficiency and kind intentions of the staff add to this effortlessly chic hideaway. Cape View successfully combines what founder Jessica describes as “the personal feel of a private home” with the “subtle sumptuousness of a stylish guesthouse without any pretentiousness”. It is a home that does not compromise on contemporary luxury. In rooms: television, DVD player, iPod dock, WiFi, desk, air-conditioning, minibar, free bottled water and tea- and coffee-making facilities, hair dryer, international adaptors.